Matthew Stone has worked with children and families in different capacities for the better part of a decade. After earning his B.S. in Biopsychology from Tufts University, he went on to work in a children's group home, and as an outreach counselor for children in the Boston metro area. Matthew is preparing to complete his doctoral degree in Clinical Psychology from John F. Kennedy University in Pleasant Hill, CA, with an emphasis on multicultural psychology. During his graduate training in San Francisco, Matthew provided inpatient treatment for Native Americans with substance abuse issues, and completed a two-year placement at a therapeutic day school for children dealing with acute mental illness and Autism Spectrum Disorder. Matthew recently completed a full-time pre-doctoral internship at a community mental health center in Leavenworth, KS, where he treated children, adults, and families. Matthew has received training in play therapy, psychosocial group therapy, and psychological assessment with children dealing with severe emotional disturbance, trauma, ADHD, and autism spectrum symptoms. 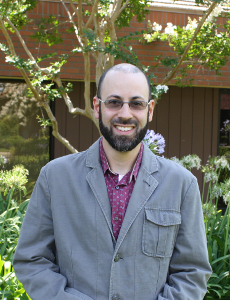 Matthew provides psychological services at the Sullivan Center under the supervision of Kathy Sullivan, Ph.D., ABPP.